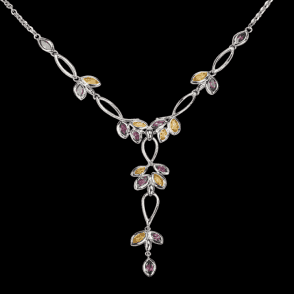 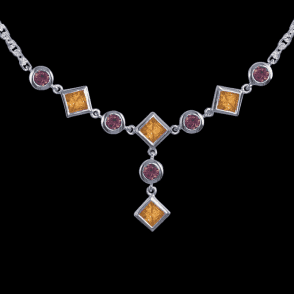 Jasper May is renowned for his botanical designs, usually set with gemstones. 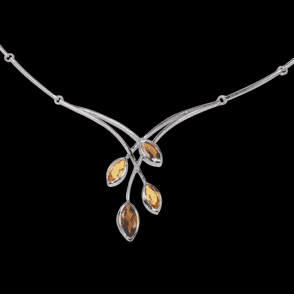 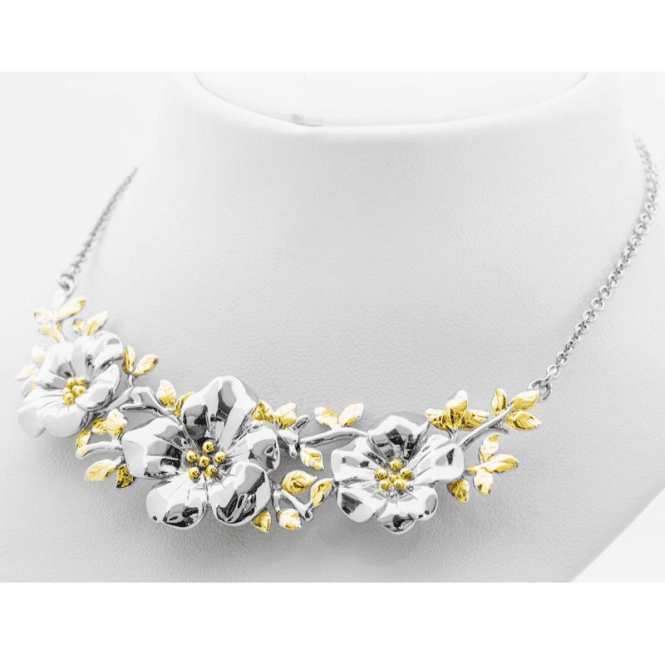 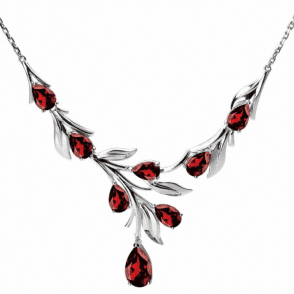 However, this is a new departure, where solid sterling silver is the light and radiance of the weighty necklet. 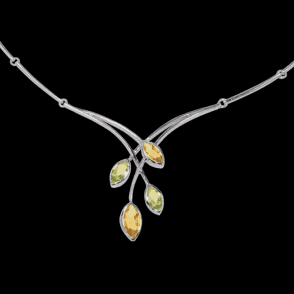 By virtue of master hand-crafting, the flowers and foliage emerge, with touches of 18ct gold plating to elevate the buds. 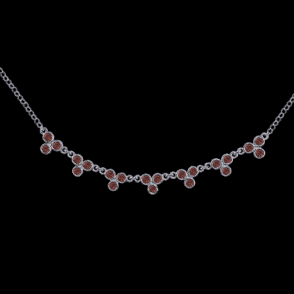 16" long with 2½" extender and lobster clasp.